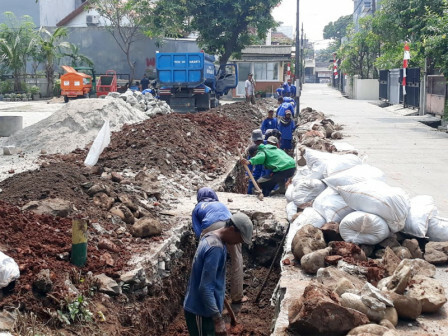 The North Jakarta Administration is intensively conducting repair towards water channels, especially in flood-prone areas in a bid to face rainy season.
" North Jakarta has 13 rivers. That's why we have mapped areas that are prone to flood"
North Jakarta Mayor, Syamsudin Lologau said that his party has mapped some flood-prone areas. "North Jakarta has 13 rivers. That's why we have mapped areas that are prone to flood," he expressed, Tuesday (9/4). He also has urged urban village, sub-district, and UKPD heads to focus on draining and cleaning of channels and waterways. The priority of the work is carried out based on the results of the mapping that has been carried out. His party also wants pump houses to be monitored well when used. It is because almost part of North Jakarta depends on the pump to drain water from the channel to the river until it reaches the sea. "We urge locals to report their problems thus we can follow it up," he said.